All Our Dreams Come True 2 extends upon the work dancers and choreographers Deanne Butterworth and Jo Lloyd created and presented between October and November 2016 at Bus Projects Melbourne. In its original context, the exhibition comprised still images and looping video coupled with a weekly performance primarily comprising contemporary dance, voice, reading and filming. Reworked especially for MPavilion, this iteration of All Our Dreams Come True continues Deanne and Jo’s examination of two bodies and the new space they inhabit—moving, being watched, always together and apart. 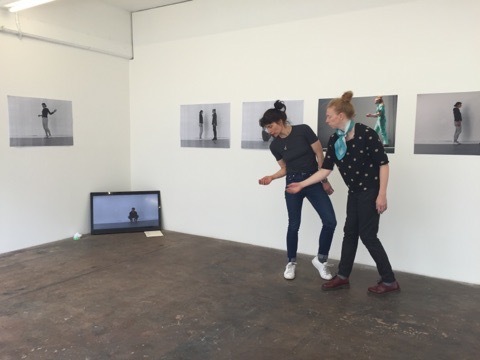 Working with the preconceptions of how performance can materialise as expected or hoped, Deanne and Jo replace familiar performance preparations and execution with new parameters, exploring how organisation and planning contributes to the choreography that later takes place. Focussing on the ambition of the live performance unfolding as predicted—realised, fulfilled or unfulfilled with the help of an audience—this enchanting production shouldn’t be missed.